Just completed a short piece, with Rob Kitchin, describing the importance of barcodes and RFIDs as identification technologies. It is for Globalization in Practice being edited by Nigel Thrift, Adam Tickell and Steve Woolgar. This entry draws in large part on our 2005 paper, Codes of life: identification codes and the machine-readable world, Environment and Planning D: Society and Space, Vol. 23, No. 6, pages 851-881. 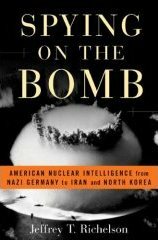 I am currently reading Jeffrey Richelson's book Spying on the Bomb. Its a fascinating read. 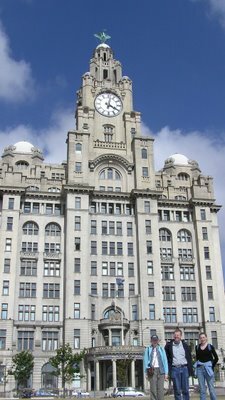 A long gestating paper is inching closer to publication, the revised version having been accepted for publication in Environment and Planning B on Friday. The paper is titled: 'Outlines of a world coming in existence': Pervasive computing and the ethics of forgetting. It is co-authored with Rob Kitchin. seeing forgetting as a weakness or a fallibility we argue that it is an emancipatory process that will free pervasive computing from burdensome and pernicious disciplinary effects. I just heard that Geoforum have accepted our revised paper, The automatic management of drivers and driving spaces. Hopefully it will be out in print some time in 2007.
from Lumeta ( http://www.lumeta.com ) using the Burch+Cheswick layout. 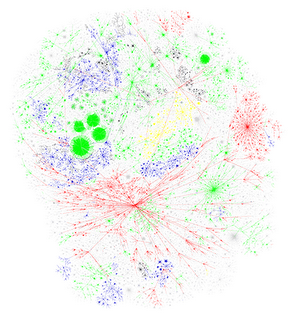 Who owns the Internet? We have a map that shows you. 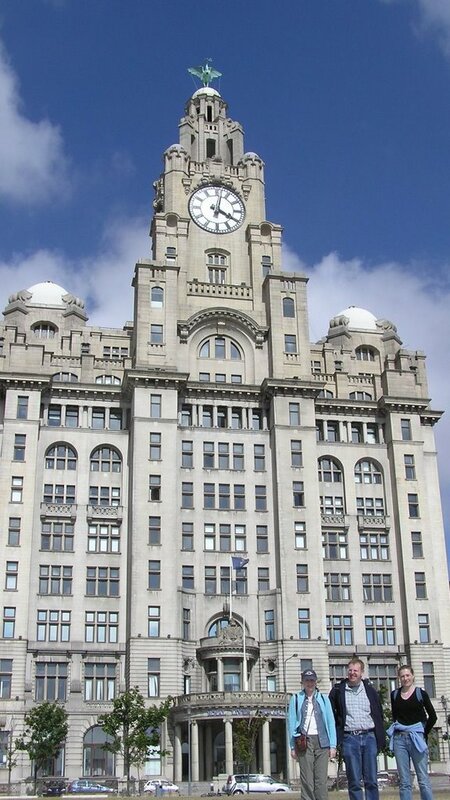 A photo in front of the Liver Building, taken during a fun trip down the Manchester Ship Canal to Liverpool. The final session at the 2007 AAG meeting I am co-organising is on Software and Space. This is being put together with Matt Zook and Rob Kitchin and has already received a good amount of interest. The CFP is available as a pdf. Over the past thirty years, the practices of everyday life have become increasingly infused with and mediated by software. Whatever the task - domestic living, working, consuming, travelling or communicating – software increasingly makes a difference to how everyday life takes place. Software is embedded into objects and systems as a means to enhance and manage usage and is pivotal in linking together disparate and distributed infrastructures. It also enables new and refined processes through the generation, storage, profiling, screening and communication of data about individuals, objects, and transactions. Importantly, software has profound spatial effects, both through the automatic production of space that generates new spatialities (Thrift and French, 2002; Dodge and Kitchin, 2005a) and the creation of software-sorted (Graham, 2005) or machine readable (Dodge and Kitchin, 2005b) geographies that alter the nature of access and governmentality. Given that the AAG meeting in 2007 will take place in the San Francisco Bay the central node in the design and promulgation of software it seems an apposite place to initiate a wider ranging discussion on the role of software in the production of space. Building on previous research concerned primarily with the disciplinary effects of software-enabled technologies in the govermentality of spaces of transportation, communication and consumption, these sessions aim to move beyond seeing code solely as a force of control. Consequently, we seek papers examining the productive capability of software to reformulate collective life and enhance individual’s spatiality in creative, playful, empowering ways. We seek papers that report empirically-informed analysis that unpack the ‘automatic production of space’ (Thrift and French, 2002) in terms of people’s daily experience living within (and increasing living though) coded environments. It is hoped that the sessions will draw together researchers from Geography, Sociology, Anthropology, Communications, Media Studies and allied disciplines. The goal of the sessions is, therefore, to conceptualize software through its effects on space and social life at an individual level rather than technical papers on particular software applications (e.g., work in applied GIS) or economic geography analysis of the software industry. # Code and Creativity: Software’s ability to manipulate digital media is crucial to the emergence of ‘mash-ups’ (ad-hoc combination and hybrid re-use), ‘modding’ (informal user modifications to improve performance) and ‘remixability’ (Manovich, 2005) that some herald as a new wave of popular entertainment and decentred knowledge production. How and in what ways does software enable new forms of individual creativity? How is software making new spaces of play possible, new means of human expression and facilitating new places for artistic and craft practices? # Code and Memories: People are generally only vaguely aware of the extent to which coded objects, systems and environments are becoming aware of them, and increasingly capturing routine interactions and activity. What might the folding together of biological memory, shared social memories and externalised digital memories mean for day to day life? What benefits might such augmented memory bring, would never forgetting events and details be a welcome improvement to individual’s lives? # Code and Well-being: In what ways and to what degree might software-enabled practices and spaces influence our well-being? Will more continuous monitoring of health status via personalised software systems be advantageous to well-being? Does the automation, flexibility and the sense of a speeded-up world create new feelings of empowerment or fears of powerlessness? How does software relate to the mind, body and spirit of individuals in the so-called digital age? # Code and Risks: The services and spaces of everyday living increasingly depend on software to work. Most of the time software ‘just works’, yet this dependency is creating many new risks for individuals, particularly in terms of complexity, and the impact of unforeseen and hard to diagnose and fix problems with software. This code complexity is also opening up new means for criminal activity and malicious damage that can directly impact individuals (such as computer viruses, phishing and identity theft). How do people manage such risks, threats and fears? # Code and Resistance: Much of the application of software by state and corporate actors is about enhancing the effectiveness of existing surveillance and automating the regulation of access. In what ways is software enabling new capabilities for spatial governmentality? Also, it is apparent that software intended to discipline also opens up many novel types of resistance and new sites for subversive activities that can disrupt the power relationships in quite surprising ways. We invite contributions which explore the scope and spatiality of alternative, subversive and underground hacking of code that challenges established power relations and jump-scales to effect political change. # Code and Histories: Can our understanding of the contemporary effects of the automation of spaces and activities by software be improved by looking back into the past? Does an understanding of the histories of code, by untangling how people have lived with information processing technologies (including the pre-digital era of analogue machinery), give useful insights into the future? # Code Fieldwork: In terms of research methodologies, what ways can software’s effects be best studied, given that they are hidden in arcane algorithms, and are often locked into privatised micro-spaces and commercially-secret applications. In particular, how can software be studied empirically as forms of individual practice that bring spaces into being in contingent ways, rather than being analysed through its representation form (written text - the source code - or screen interfaces)? We are also planning to organise a special issue in a leading human geography journal on these themes and authors of full papers from the session will be invited to participate.